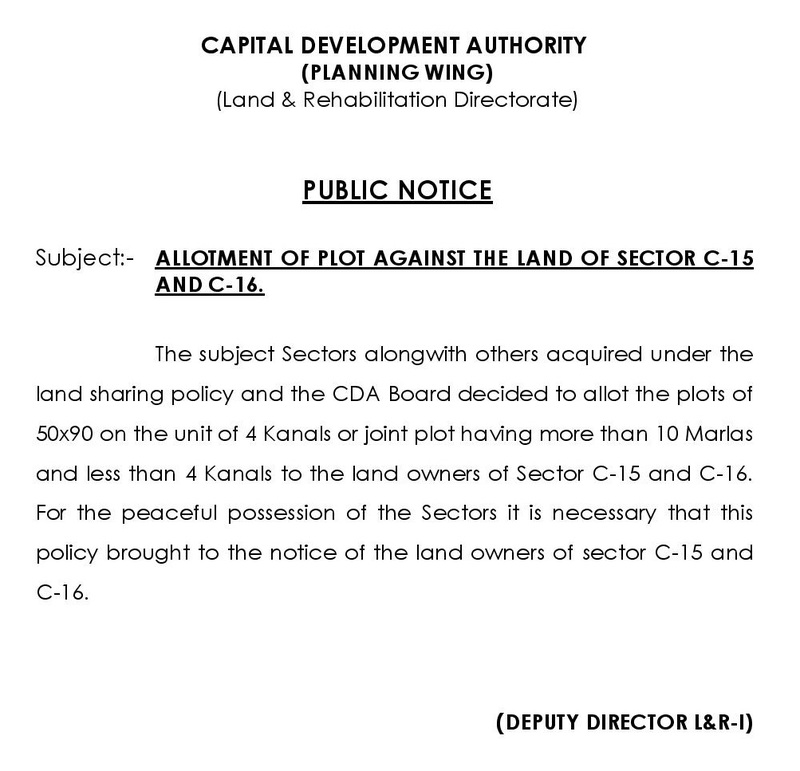 According to the notice, the society owns 447 kanals and 19 marla land in Mouza Banjial near Motorway Exit, Islamabad. The land is up for sale on “as is” basis. Those who are interested to purchase the land must send their sealed bids before 27th January 2018 in order to take part in the action. The Auction will be held on 27th January at Blue Area Islamabad, and all sealed bids will be opened in the presence of respected bidders. Bidders must provide bank guarantee to confirm their financial eligibility to take part in the auction. 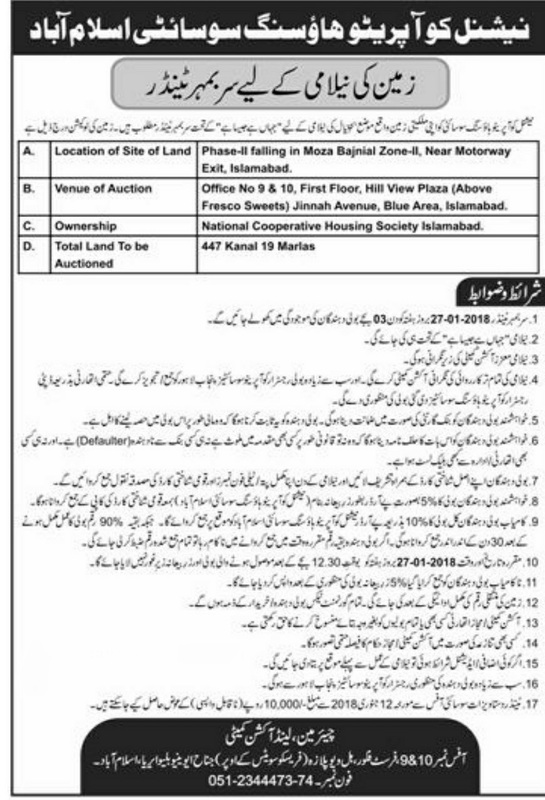 The winning bidder must deposit 10% amount in favor of National Cooperative Housing Society Islamabad on the same day, while remaining amount will be payable within 30 days of auction. In case of failure to pay the remaining amount, the deposit amount will be confiscated.